In this EZ GO Golf Cart carburetor troubleshooting section you can interrogate the troubleshooting tables to diagnose your carburetor issue. Should you need replacement parts you can find them in our EZGO parts section. Air leak in system Check fasteners and gaskets. Replace as required. Surging Governor Linkage Inspect and adjust. If damaged replace. Find how to diagnose your golf cart engine problems in this EZGO Golf cart engine troubleshooting section. Faulty accelerator switch Inspect and adjust if no "click' is heard. Replace if faulty. For all your electrical motor issues please match the symptoms to the probably cause. This will allow you to correct the problem with your EZ GO goft cart electric motor. Motor faulty Inspect and test continuity of field coils (S1 & S2) and armature (A1 & A2). Also test each coil to ground testing for short. Repair or replace motor as required. 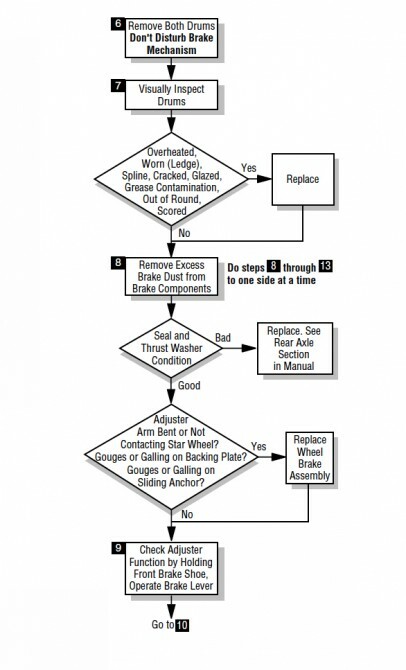 In this section you can use the brake system troubleshooting flow charts or tables to identify the problem with your EZGO Golf cart brakes. If you need to replace parts please use out EZ GO parts page and identify your vehicle. Glazed brake shoes If shoes have 0.06" (1.5mm) of material left, sand with emery paper. Otherwise replace. Siezed or loose brake cable Inspect brake lever return and ensure both brake levers are returning at same rate. If not adjust brake cables. Wet or glazed brake shoes Inspect when shoes dried. If glazed and if shoes have 0.06" (1.5mm) of material left, sand with emery paper. Otherwise replace. Siezed or loose brake cable Inspect brake lever return ensuring they return at equal rates. Adjust brake cables if not. Welcome to the EZGO suspension and steering troubleshooting section where you can diagnose and fix your steering or suspension issues. Stiff Steering Water has frozen in steering box Pull appart steering column, pinion and bearing and remove all water. Change gasket seal. Reassembly and apply grease. Too much grease in steering box causing migration into steering rack bellows Raise cart and inspect rack bellows when moving the steering from lock to lock. If bellow distortion exists, remove the bellows and drain excess grease. Steering System Has Too Much Play Loose steering wheel Check splines and check if tight. If unit is already torqued, replace steering wheel. If not then torque wheel nuts.